When the shuttle bus dropped us off after Austin City Limits, it was time for another midnight snack. 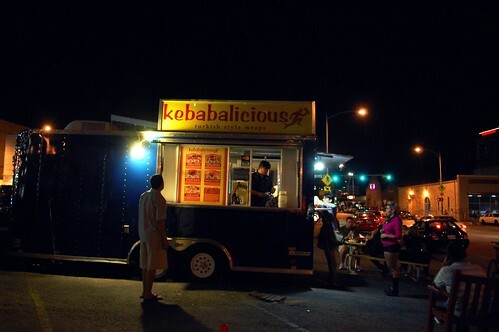 After sampling The Best Wurst the night before, we were ready to keep on truckin' with Kebabalicious, a trailer that serves Turkish-style wraps. The 12-inch "king" lamb kebab ($8.25) with lettuce, Roma tomatoes, red onions, tzatziki, and spicy red sauce was enough for us to share. Hearty but not too heavy. And, damn, that red sauce really was spicy. Mr. Monkey loved it. The army of trucks, trailers, and tricycles was out in full force. 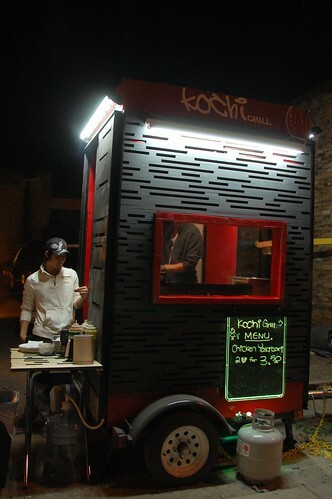 Among others, we passed by Chi'Lantro (Austin's version of Kogi), Kochi Grill (yakitori), and Frietkot (Belgian fries). You ain't the only one with meals on wheels, L.A. 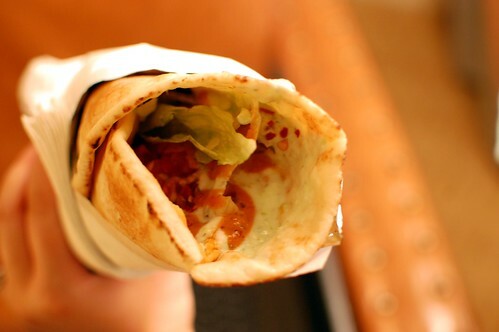 I love Turkish kebabs ever since my cousin introduced them to me in Norway in 1997. Since then, I try to get one whenever I travel. 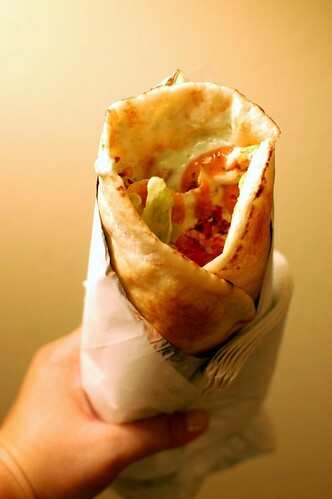 Gyros are a good substitute too, but it's not quite the same. It's because of that red sauce! Everything always tastes so good late at night. i see you're eating the "fourth meal." Late night kebabs are the best kind. In Austria, they're like THE after bar food. I need to find this place. like, NOW. it's too bad we live in the boonies. 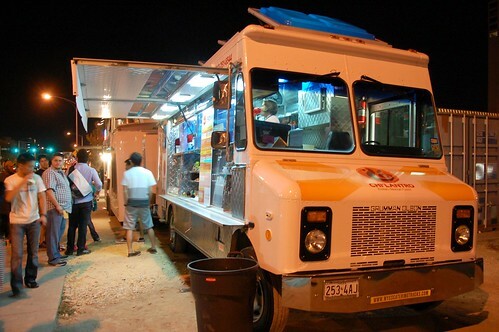 It's crazy how the food truck phenomenon has hit ATX so hard! I'm trying to convince Hubby to go for a weekend trip so we can try some of those out, but he detests Austin. 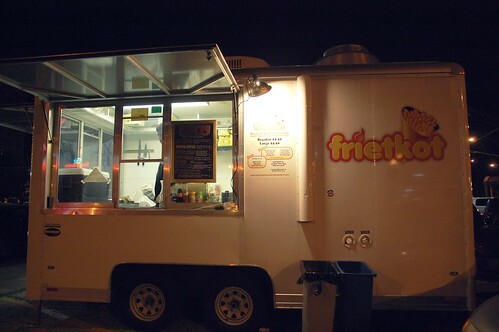 We shall see..
Am I understanding that you passed up the Belgian fry truck?